Before I start sharing my first impression on the four products I received from ELF Cosmetics, there is a good news to share. If you follow me on Instagram & Snapchat, you'd know by now. 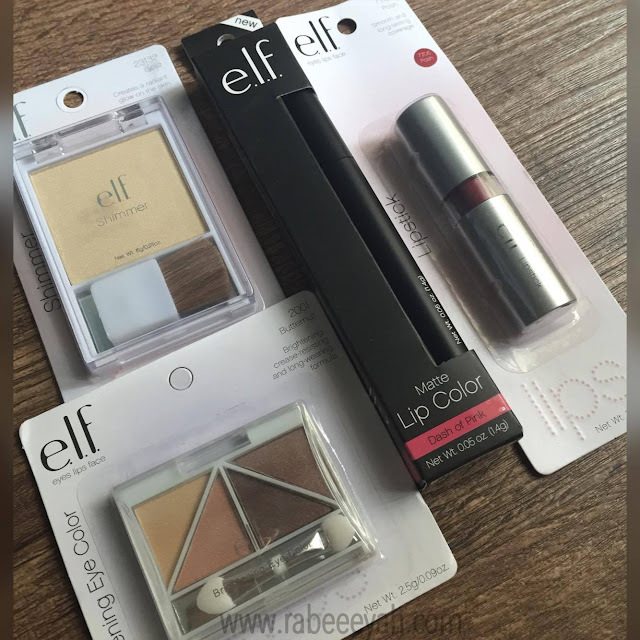 If not, the news is ELF Cosmetics is now launched in Pakistan and is available online HERE. You can now easily get your favorite things from ELF from their website without waiting for days. 1. 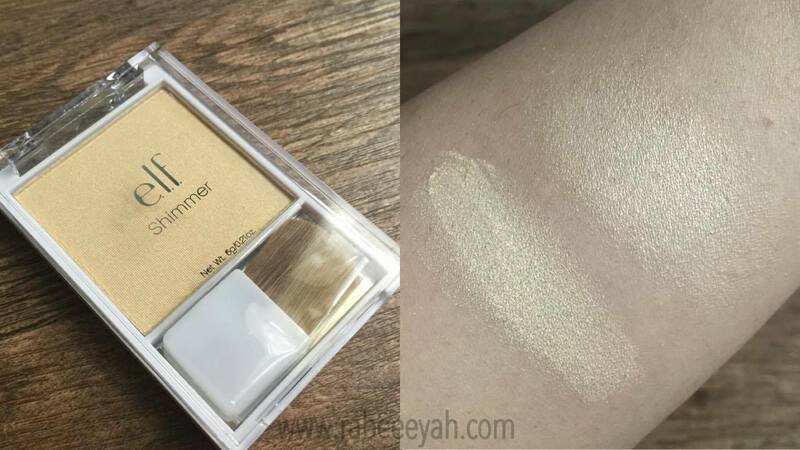 ELF Brightening Eye Color "Butternut"
4. 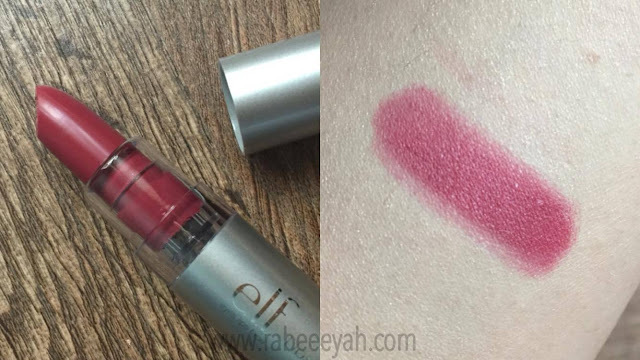 ELF Matte Lip Color "Dash of Pink"
Starting with the packaging, even though the brand is affordable & cheaper on the pocket, they didn't compromise on the packaging. Not very fancy, but it's sturdy. The studio line is classy & with a better quality as compared to the normal line, in my opinion. I am an avid ELF Makeup Set & Mist fan. Nothing beats that when you have to set the makeup in the crazy heat, or if you want your face to look less caked up/chalky. Moving on to the products I received, they are definitely first impressions because I've never tried any before. 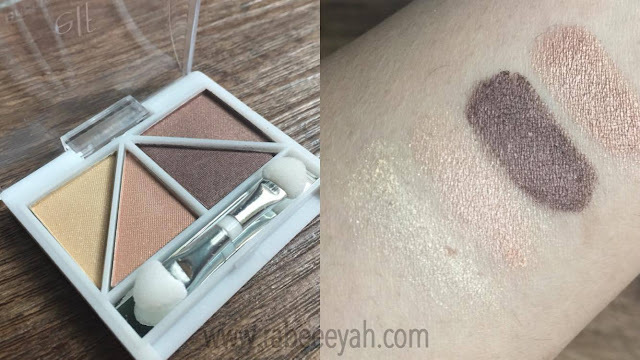 It's a beautiful earthy toned quads, with wearable shades that can be used in the day & night time. Though the shade gold is less pigmented compared to other shades & shows less as you can see even after multiple swatching. However, brown is the one that is pigmented of all. It's a pretty gold toned highlighter that is not too shiny gold nor too dull. A perfect gold that will brighten the high points of the face, unlike some gold shades that can make medium toned skin look tan. I personally loved the shade when I first swatched, blended & used on my skin. It's definitely for those who love subtle highlights. The price itself is eye catching; isn't it? Posh is a berry toned lip color, which looks opaque in the picture of the swatch, but on the lips it's more like a tint. Maybe with time & usage, it might look as opaque as the swatch. If not, it's a good option for those who love a bit of a color on their lips instead of going too bold & bright. 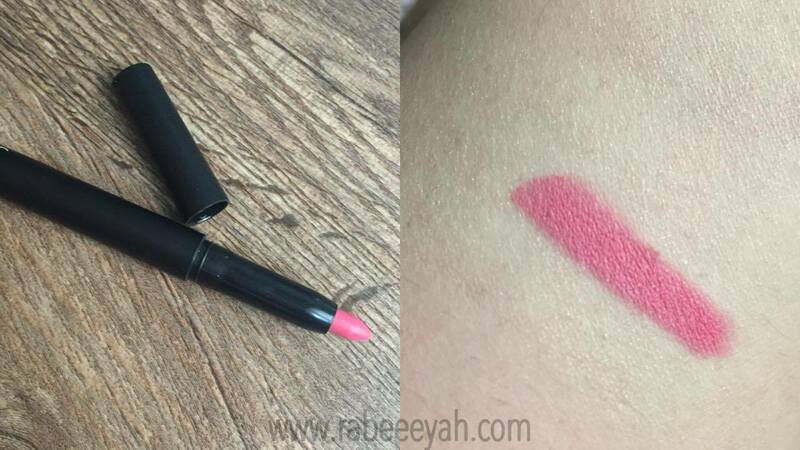 Even though it's a matte lipstick, it goes on effortlessly and smoothly on the lips. The texture of the lipstick is creamy, but looks matte on the lips and give opaque coverage. Stays put for 3/4 hours & doesn't look chapped. The shade is a wearable everyday medium toned baby pink. Overall, I'm quite please with the lipsticks & the formula. Looking forward to try a few more from the collection. Suggest me? Which ELF products are your favorite? Let me know! !